Welcome to the 43rd edition of the Hip Tranquil Chick podcast: a guide to life on and off the yoga mat. Produced from the Pink Palace in Washington, DC. Today’s podcast is an interview with Erin McCleary on getting your hands dirty, topped of with a pose of the podcast perfect for gardening, hip tranquil chick suggestions, a lovely HTC poem sent in by a listener, and groovy podsafe music! View our shownotes at hiptranquilchick.com/blog. Erin spent many of her formative years in a small town in Pennsylvania. After undergrad at a small liberal arts school, she moved to Washington D.C. to embark on a political journey to change the world! But, after spending nearly 7 years at a publishing company that covered congress and politics, she began to really understand the meaning of the term "rat race," and knew that the 9-5 environment was sucking her creative soul dry. After researching several types of business ventures she and a partner finally secured enough capitol to open a fashion-forward shoe boutique in the Adams Morgan neighborhood of Washington. The store was an immediate success and within 3 years had opened a second store in busy Georgetown. The two received much acclaim from local press and industry publications for their innovative store design, product mix and business savvy. Erin's chaotic and constantly busy schedule led her to weekly Buddhist mediation teachings and a yoga practice. She became a vegetarian and traveled to India. It slowly began to dawn on her that her livelihood did not match her world view and that participating in the consumer marketplace was no longer an appealing way to make a living. She sold the store and began to apprentice with a friend who had a small gardening business -- being close to the earth seemed like a wise move. She did this for several years learning valuable lessons about the earth and its relation to the cycle of life. Fascinated by the connection between the mind and body she began volunteering at the Center for Mind/Body Medicine. It was then that Erin began to understand the profound effects that the healing arts can have on those striving to cultivate balance and health in this hyper-busy world. 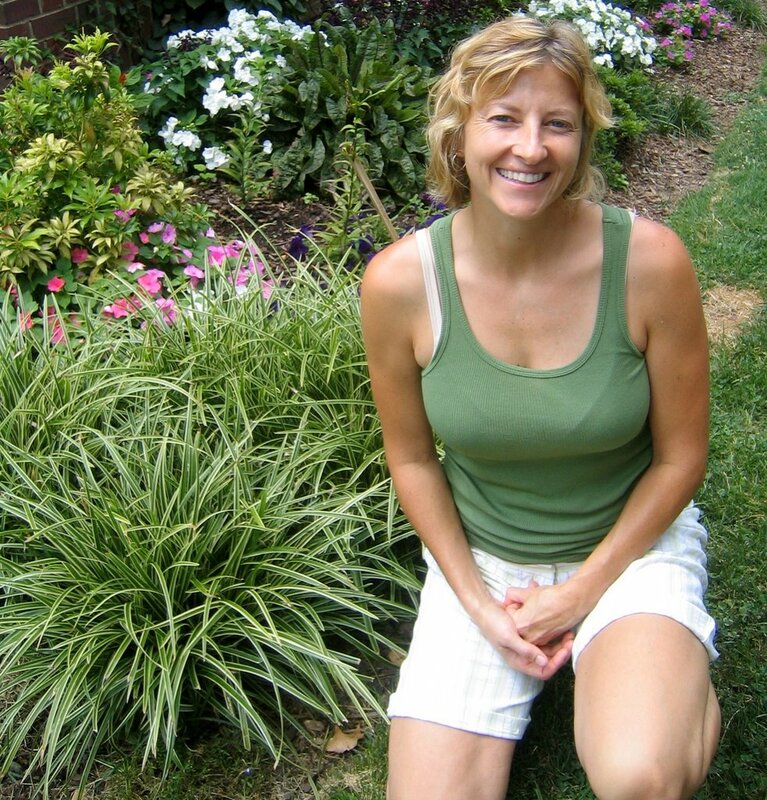 She has recently completed an eighteen month program to become a massage therapist, and still gardens at her own home. She is planning to create a safe and nurturing environment in her practice to help infuse clients with a sense of equlibrium. Hip Tranquil Chick - A poem sent in by fellow HTC Natie S.
I breath in, breath out. I am a Hip Tranquil Chick. Share your hip tranquil chickness with me, request show ideas, or pass along feedback by e-mailing me at kimberly@hiptranquilchick.com or leaving a love note in the comments section of hiptranquilchick.com/blog. A reminder that we’re on MySpace and Frappr, so please connect with the community virtually there, too! Have a burning question that you’d like hip and tranquil feedback on? E-mail me at kimberly@hiptranquilchick.com to have it featured and answered in our dear hip tranquil chick segment! View the summer edition of tranquiliT times: a quarterly museletter on all times hip and tranquil that you can sign up for at hiptranquilchick.com. You can now pre-order Hip Tranquil Chick on Amazon. Join me for my annual Fall Foliage Retreat in a rural setting in the heart of Virgina October 13-15. Save the date for our book launch fete on Thursday, November 16 in DC. Details to follow! I’m busily putting together all the step-by-step scoop to hosting a Hip Tranquil Chick Signature ChariTea Soiree with your fave gal pals when the book is released in November! Watch for this downloadable PDF coming soon with discussion tips, a toolkit, yoga sequences, recipes, and more! To host a Hip Tranquil Chick Signature Soiree in your area, please send your stats (name, location, e-mail) to kimberly@hiptranquilchick.com and you'll receive your Toolkit via e-mail shortly. The first 25 fabulous femmes who commit to leading a Hip Tranquil Chick Signature Soiree will receive a call from Kimberly during their special event. To close out the show, we’re playing podsafe music---by new and independent artists who are sharing their music through podcasting from the Podsafe Music Network. Today’s selection is Detached Reality by General Fuzz. You can learn more this week's featured artist, including how to get more of their music at generalfuzz.net. Thanks for joining me for the 43rd edition of the Hip Tranquil Chick podcast. Namaste and get those hands dirty, girls! Fabulous Blog!!! I discovered it today on my lunch break and can't wait to dive in from home.